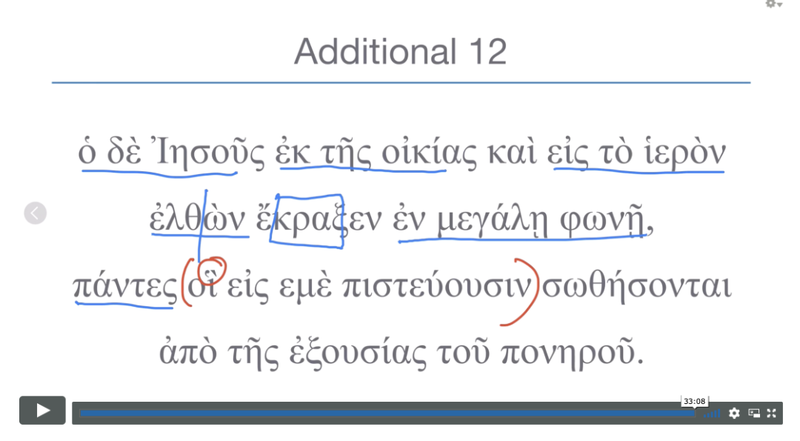 Wouldn't it be great if you could get help translating the workbook for Basics of Biblical Greek? Wouldn't it be great if Bill were able to walk you through the translation process for every exercise in the workbook? That's now possible. Bill has completed detailed screencasts over every workbook chapter, all the parsings, all the warmups, and the first twelve translations in each chapter. You can see samples for free ( Chapter 3 | Chapter 4 | Chapter 6 ). They can now be purchased at BillMounce.com (and only here). 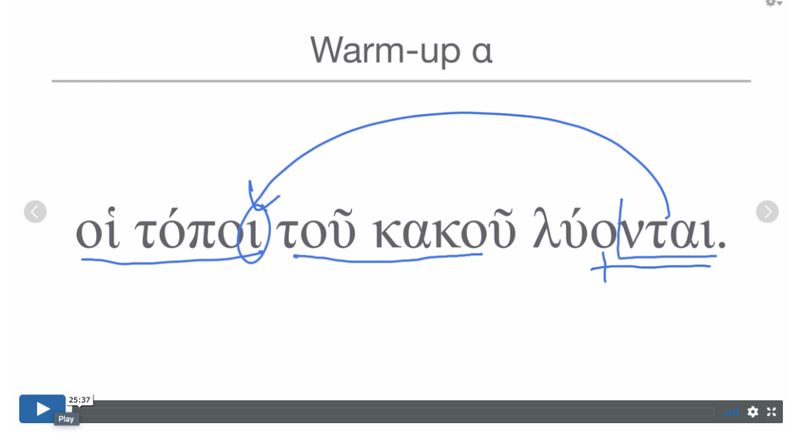 Bill has a special way of teaching Greek. He tends to answer a question with a question, helping you figure out the exercise on your own, and finally gives you the answer for confirmation. Every parsing exercise is explained. The first 12 translations are worked through. 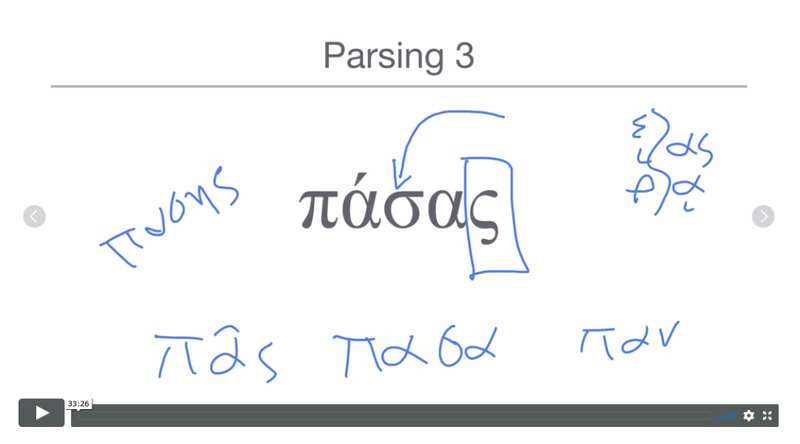 These screencasts are based on the upcoming fourth edition of Basics of Biblical Greek, but they can be used with earlier editions. The only substantive difference is that the order of some of the parsings has been changed. A full list of the changes are included with your order. So buy now for $89 and get more help translating God's Greek Testament than ever before.